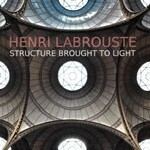 This month, the Society of Architectural Historians announced its annual awards for publications in architectural history. 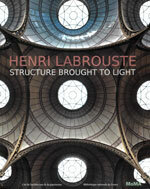 The Philip Johnson Exhibition Catalogue Award went to Henri Labrouste: Structure Brought to Light, edited by Corinne Bélier, Barry Bergdoll, and Marc Le Coeur. This catalogue accompanied an exhibition that opened at the Cité de l’Architecture et du Patrimoine in Paris before traveling to the Museum of Modern Art in 2012. The show featured many architectural drawings, books, and architectural journals owned by the Avery Library, several of which were exhibited for the first time. See also the previous exhibition blog post. This entry was posted in Avery Classics Collection, Avery on the Road, Drawings & Archives on April 24, 2014 by Ted.